During the past legislative session I worked with ACLU cooperating attorney, Bettina Brownstein, Prosecutor Tom Tatum, and a host of doctors and lawyers from DHS and other stakeholders to draft Act 506. Dr. Steven Domon and Dr. Brian Rush Simpson recently join Bettina and I, in writing an article explaining Act 506 for publication in the Arkansas Lawyer. You can access the article by clicking the link below. 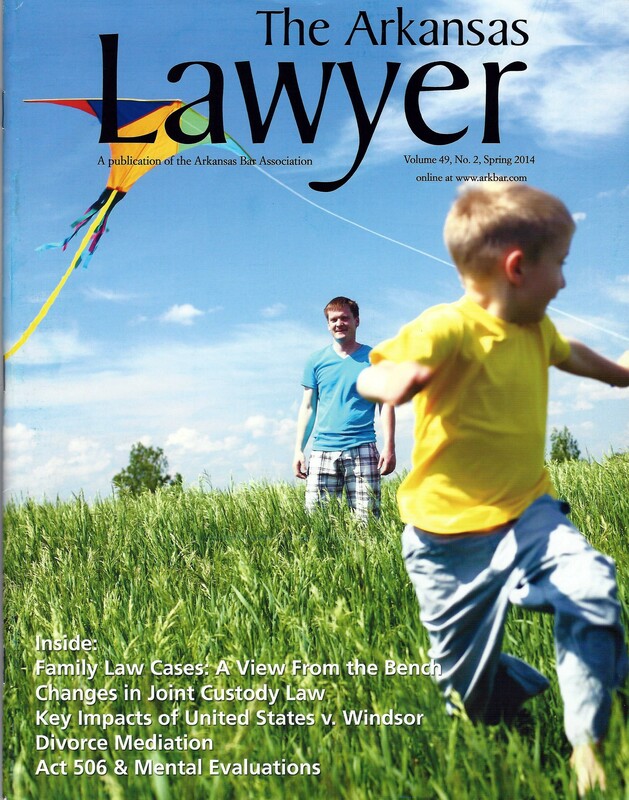 The entire issue of the Arkansas Lawyer – Spring 2014 can be accessed at the link below. This post is off topic. That is to say it is not about my family. A few years ago I decided to add being published to my bucket list. My focused was on writing a professional article about some aspect of my job and experience as a criminal defense attorney. I started several articles only to lose interest. Eventually I began to collaborate with Dr. Bhushan S. Agharkar, M.D. and earlier this year our article Delusions and False Memories: Roadblocks to Competency to Stand Trial was selected and included in a paper symposium on mental health law edited and published by the Law Review at the University of Missouri – Kansas City. If you are interested the link below will take you to my first article.